Bondora has announced that the p2p lending marketplace platform is now accessible in 24 European languages. 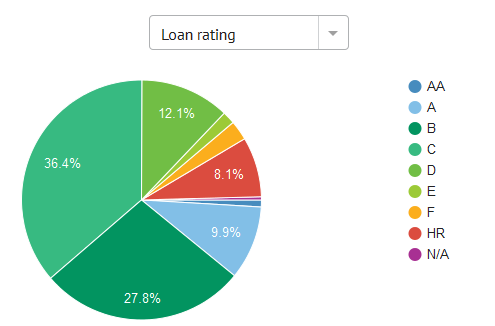 Bondora says it already has more than 42,000 investors from 85+ countries worldwide, that have invested more than 150 million EUR in the consumer loans listed on the Bondora marketplace. Bondora gives investors the choice of different investment products: Bondora Go&Grow, Portfolio Manager, Portfolio Pro and API Investment. The popular Go&Grow product carries a yield of 6.75% and offers high liquidity. Now the Bondora website can be used in 24 languages ranging from Bulgarian to Swedish. Bondora says they have taken this step, because they want to open their doors to Europe and make the platform accessible for all. 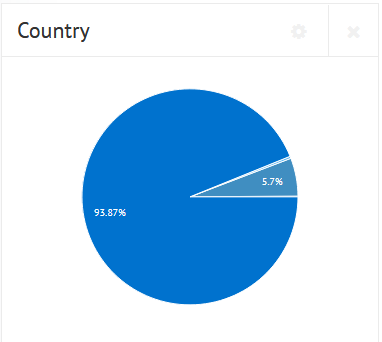 Investors feel much more comfortable using a site which is in their native language. Want to start investing at Bondora now? Use this link to sign up at Bondora, and the normal signup bonus will be doubled for you, meaning, if you invest, you get 10 EUR bonus that you can use for investing. This is a limited time special promotion (after which the signup bonus will be 5 EUR again). Bondora has been rolling out a new product called Bondora Go & Grow to select users since March. It will be officially launched in June, but existing users can contact support and ask for the product to be made selectable in their accounts. Go & Grow is designed for the passive investors as hands off p2p lending. One of the main advantages is that Bondora says it is tax optimised. 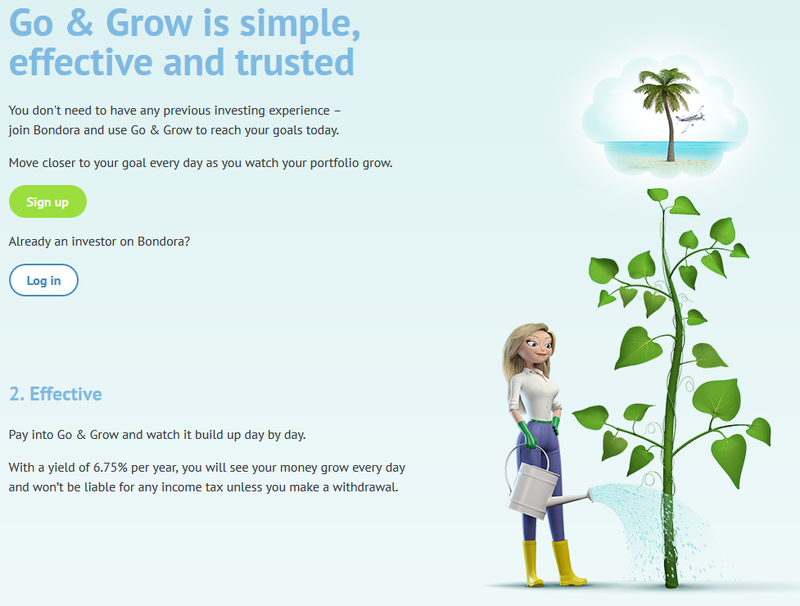 The Bondora Go & Grow product features a target interest rate of 6.75% which will accrue daily. It runs completly on autoinvest. The investor just needs to join it and pay money into the Go & Grow account (or transfer it from the normal Bondora account). The Go & Grow account promises daily liquidity. There is a 1 EUR withdrawal fee making small withdrawals expensive but for portfolios of 1000 EUR or more and usual investment horizons this fee is negligible. How does Bondora Go & Grow work? Simplified it is an autoinvest tool where Bondora invests the deposited money in loans on the Bondora marketplace (the investor does not see the individual loans). The investor automatically sells any claims for repayments and interests from these loans to Bondora which in return agrees to pay the 6.75% interest to the investor. Note that the 6.75% are not guaranteed but Bondora is very confident (based on their over 10 years experience) that they can achieve this yield. So basically Bondora invests the money on the market’s interest rates which are higher than 6.75 and the results influenced by defaults, late payments and cash drag, but Bondora is confident they are higher than 6.75%. Bondora pays the 6.75% to the investor and uses the surplus as reserve, which will be kept separate from Bondora’s funds. What does tax optimized mean? The product is net of any defaults. 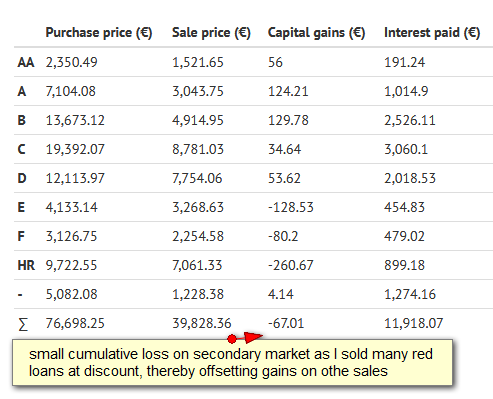 This can be advantageous for investors in countries where it is not possible to offset default losses againts interest earned for tax purposes. Interest accrues and is only credited at (final) withdrawal. This delays the point in time where interest is taxable according to Bondora. So is this better than the ‘traditional’ Bondora product? 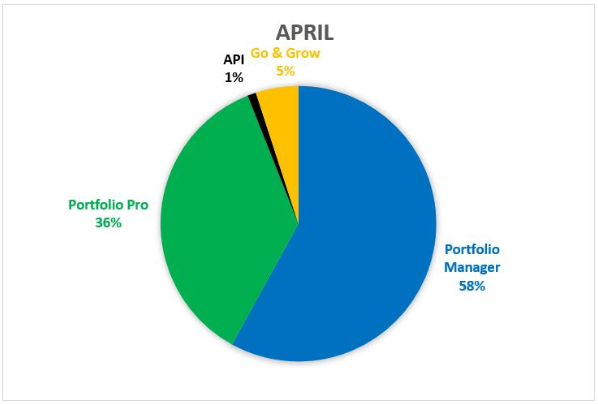 In my opinion this product is only the better choice, if the investor really does not want to be bothered with making minimal choices the Portfolio Pro requires and some monitoring. As described Bondora invests the money in the very same loans that are available in the traditional product and expects a higher yield than 6.75%. For that very same reason I would caution investors to carefully consider, if they do want to take up the offered option to sell out their existing ‘traditional’ portfolio when opening/funding a Bondora Go & Grow account. I assume that investors are very likely better off keeping that portfolio than selling it to Bondora at the price Bondora offers. However for an investor that really wants to sell an exitsing portfolio completly this offers a way to cash out (edit: see reader comment below) as the cash is than in the Bondora Go & Grow account and can be withdrawn instantly. One caveat of course is that according to the T&C the liquidity for Bondora Go & Grow is subject to market conditions and not guaranteed. It reads a bit like the ‘normal market conditions’ wording that Assetz Capital uses for its Quick Access Account. A lively discussion on the advantages and risks of the new Bondora Go & Grow product is running on the German form with around 100 posts on the subject. EDIT: An earlier version of the article contained wrong information and has been corrected. 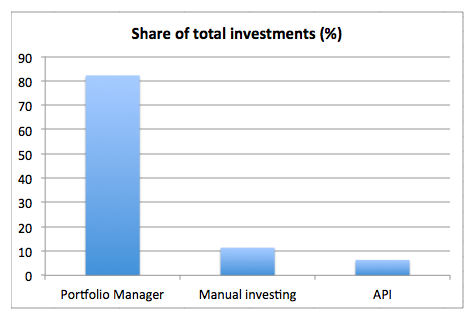 In October 2012 I started to invest into p2p lending at Bondora. I periodically blog about my experiences – you can read my update from Dec. 2015 here. 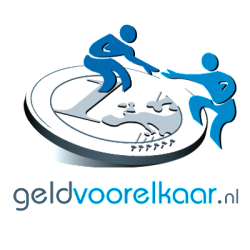 Over the total time I did deposit 14,000 Euro and withdrew 13,380 Euro. So as you see I cashed out an amount almost equal to the amounts I deposited. The good news is that I still own 705 loan parts with an outstanding principal of 10,362 Euro at an average interest rate of 23.74%. Of these 6,355 Euro are in current loans, 1,004 Euro in overdue loans and 3,003 Euro in 60+ days overdue loans. The reason that I still have such a large loan book despite cashing out nearly as much as I paid in, is that I reinvested nearly all interest and principal repayments from 2012 till 2015. Bondora shows a net return of 24.6% for my portfolio. 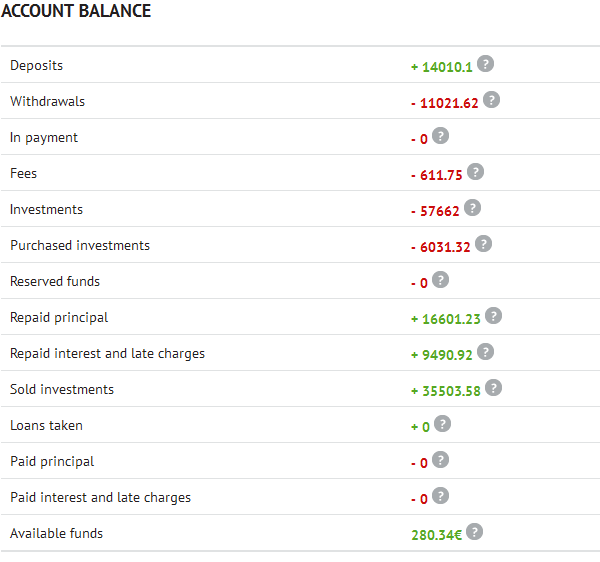 In my own calculations, using XIRR in Excel, assuming that 30% of my 60+days overdue and 15% of my overdue loans will not be recovered, my ROI calculations result in 17.0% return. A lot has changed in the past four months. With the introduction of new regulation in Estonia, Bondora now prefunds all loans and also keeps a stake in the loans (‘skin in the game‘). Manual bidding on loans is not as straightforward as previously because now investors can make bids, which are not binding until allocation happens. 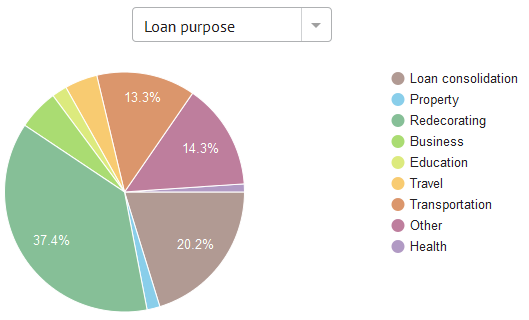 This leads to situations were say 155% of the loan amount has been bid for, but the allocation has not happened yet, because some of the bidding investors have not enough cash in their account to match their bids and those bids that are sufficiently funded don’t add up to 100%. Furthermore Bondora gives bid preference to bids with larger amounts. If at allocation time bids with enough cash add up to more than 100%, then the bids for higher amounts will succeed, while the smaller amount bids will be rejected. 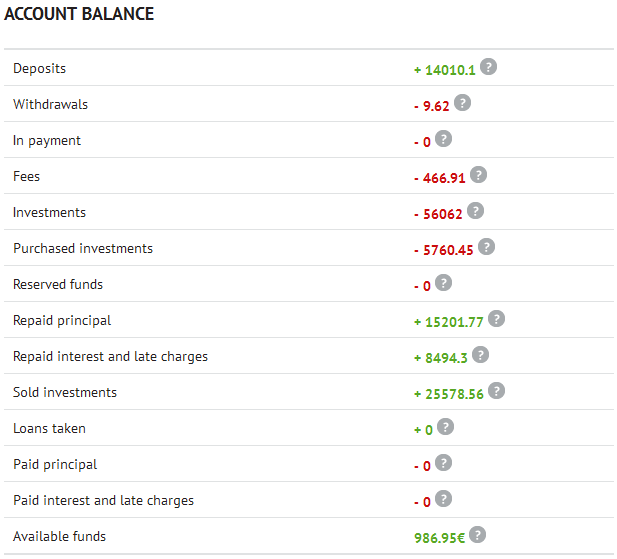 I have experimented a bit and like the way this report page gives me a quick visual representation of what is happing in my account and that it is very customisable. Plus it lets me set my personal values for expected loss rates and use that to calculate net return displayed in the dashboard. Read also what investor Oktaeder blogged about this feature. If you are not investing at Bondora, this Bondora video will give you a good overview of the functionality. 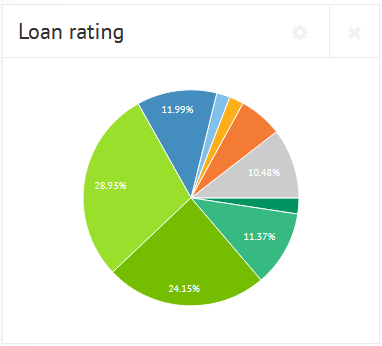 In October 2012 I started p2p lending at Bondora. Since then I periodically wrote on my experiences – you can read my last review published in April here. Since the start I did deposit 14,000 Euro (approx. 15,900 US$). My portfolio is very diversified. Most loan parts I hold are for loan terms between 36 and 60 months. Together the loans add up to 21,895 Euro outstanding principal. 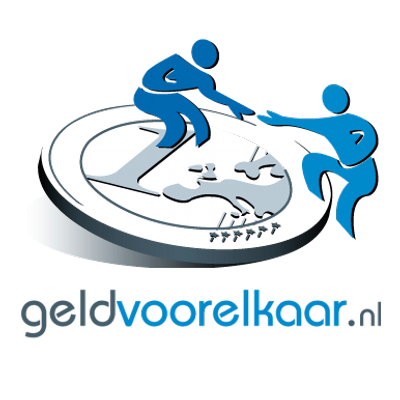 Loans in the value of 2,683 Euro are overdue, meaning they (partly) missed one or two repayments. 3,175 Euro principal is stuck in loans that are more than 60 days late. I already received 15,202 Euro in repaid principal back – this figure includes loans Bondora cancelled before payout. I reinvested all repayments. At the moment I have 0 Euro in bids in open market listings and 987 Euro cash available. 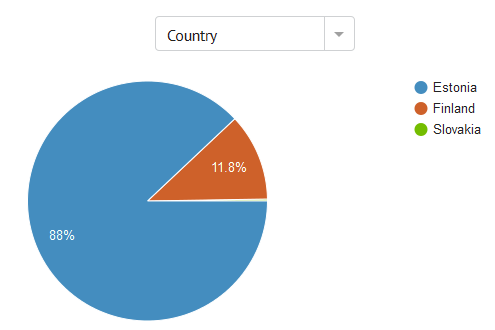 Currently Isepankur shows my ROI to be 26.76%. 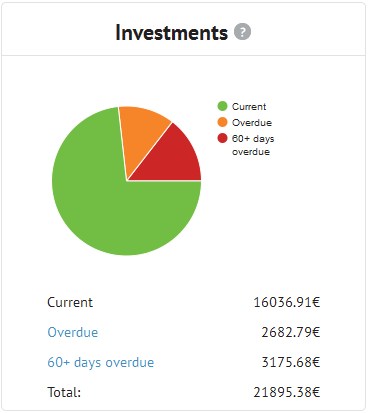 In my own calculations, using XIRR in Excel, assuming that 30% of my 60+days overdue and 15% of my overdue loans will not be recovered, my ROI calculations result in 21.8%.